We were initially saddened to learn our first time at this event was to be our last. That was until Mark, Lauren and the team announced there would be a Salem Con 4 in April 2018! We recently attended a wonderful event at the historic Beekman Arms in Rhinebeck, NY. We'd like to extend a big thank you to the Ghost Magnets with a Twist team for including us! This is the paranormal event of the year, though its starting to feel more like a family reunion! And I don't think any of the usual suspects would have it any other way. Phenomacon aka Phenomenology 106 is a yearly paranormal convention which is held in Gettysburg, PA. Paranormal groups and researchers from all around the world attend this event each year. Its a great opportunity to network with others in the field. As another winter finally closes and early spring beckons from afar we find ourselves once again at the Phenomenology event we love so much! 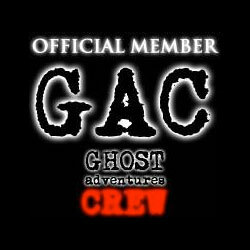 This year we were joined by our good friend Chuck of Chuck's Paranormal Adventures.